We looked after the UK PR campaign for the release of Zero Days, a documentary about the world of cyberwar from Oscar-winning director Alex Gibney. 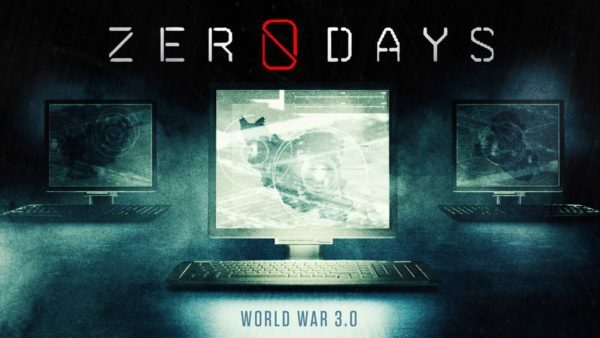 Zero Days is a documentary thriller about warfare in a world without rules: the world of cyberwar. It is a cautionary tale of technology, power, unintended consequences, morality and the dangers of secrecy. The film tells the story of Stuxnet, self-replicating computer malware that the U.S. and Israel unleashed to destroy a key part of an Iranian nuclear facility, and which ultimately spread beyond its intended target. It’s the most comprehensive accounting to date of how a clandestine mission hatched by two allies with clashing agendas opened forever the Pandora’s Box of cyberwarfare. We looked after all aspects of the UK general release campaign, running social media, managing digital assets, and securing national and local media coverage. Publicity highlights include The Guardian, Daily Telegraph, The Times, Financial Times, Vice UK, The List, FirstShowing.net, Show Film First, Culture Fly, HeyUGuys and The Arts Desk.